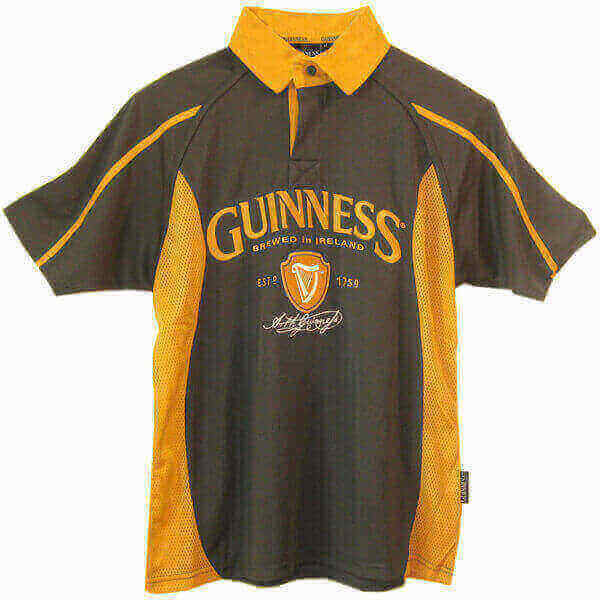 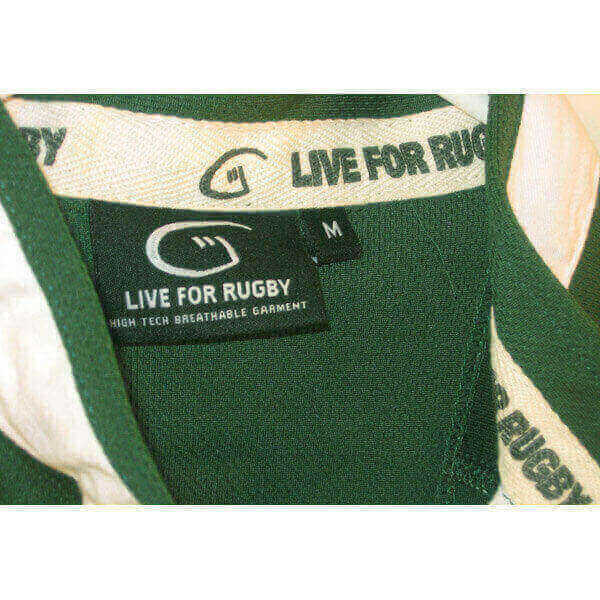 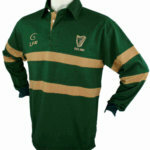 This is a brand new rugby shirt that looks great when on. 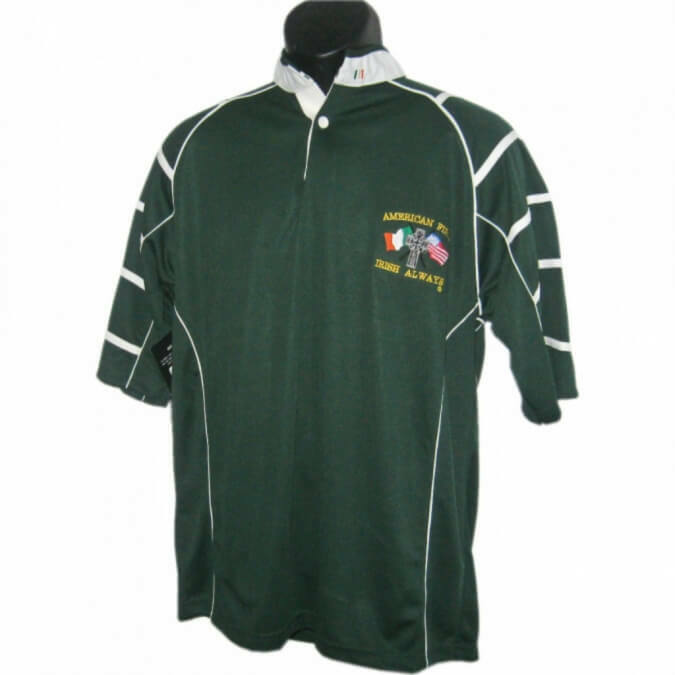 The piping on the shoulders and sleeve add a touch of “je ne sais quais” to the design. 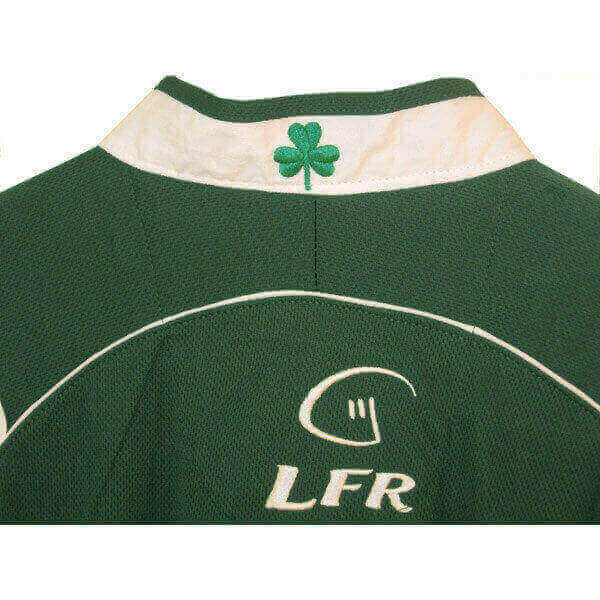 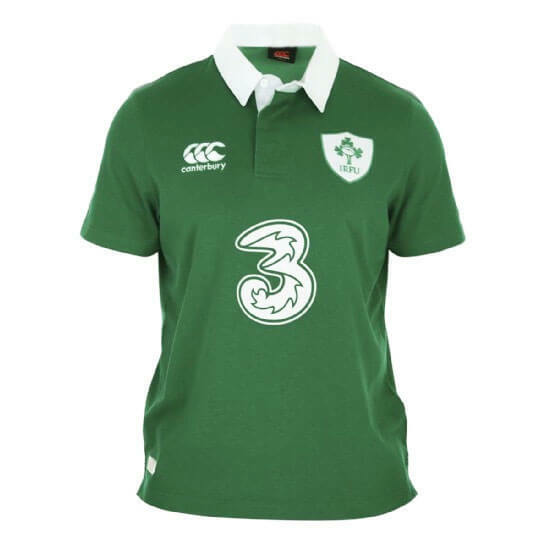 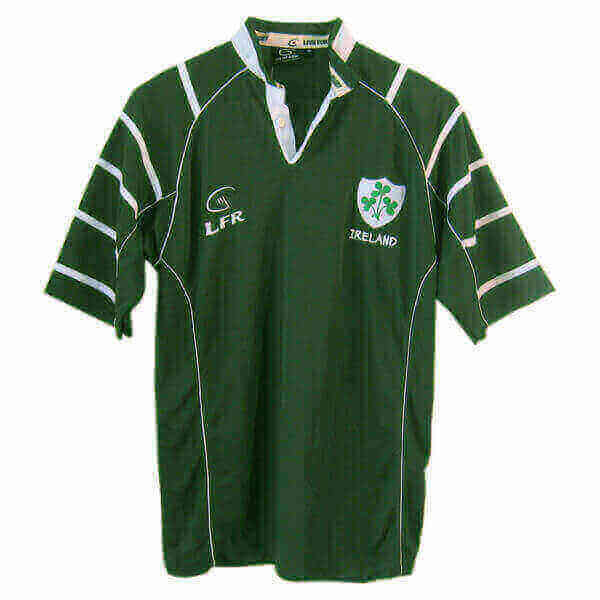 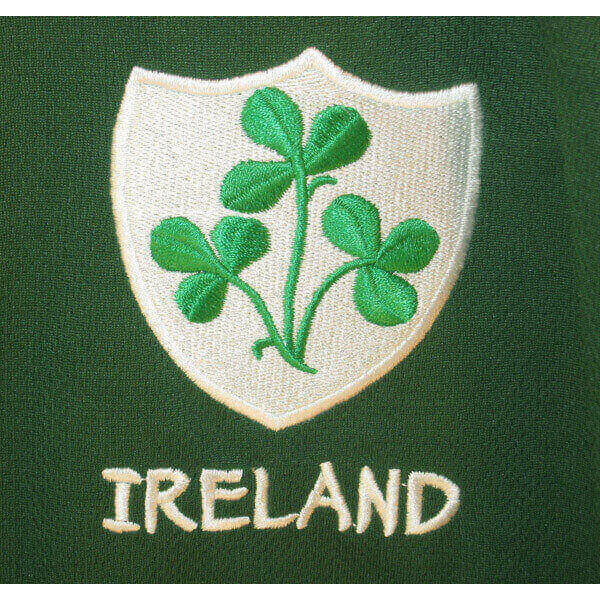 Comes with a shamrock embroidered onto the center of the back collar.